News | Traffic Management, Inc. The Grand Opening of our new Palmdale location was celebrated on May 18th, 2017. Joining us were customers, vendors, the Palmdale Chamber of Commerce and representatives from Palmdale City Hall, California State Assembly Tom Lackey’s office and Senator Scott Wilk’s office. It was a great turn-out, with food, drink and music for everyone to enjoy. 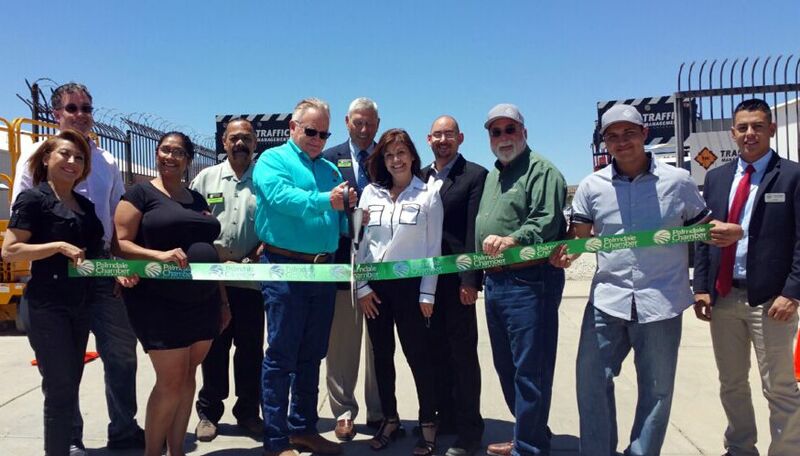 Thank you to the Palmdale Chamber for bringing out the ribbon and big scissors for our official ribbon cutting ceremony. You made us all feel welcomed and at home. Cheers to many years of successful business in Palmdale!